My dad lived on a dairy farm when he grew up, so I imagine my grandmother made a lot of big hearty breakfasts for after the morning milking. I’ve always liked making big breakfasts too. 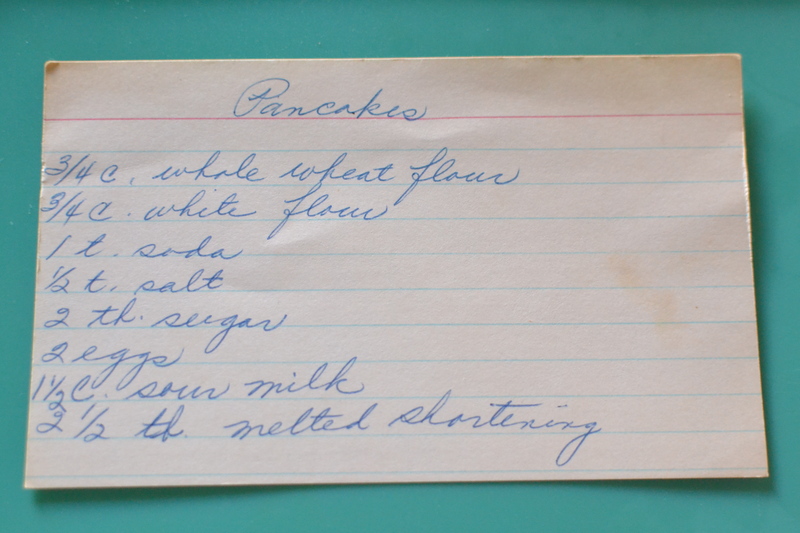 When my niece and nephews come stay overnight at my house, before they go to bed they usually say, “Auntie, what are you going to make for breakfast?” Pancakes is one of their usual requests so when I saw this recipe in my grandmother’s recipe box, I decided to give it a try. I started by souring the milk. 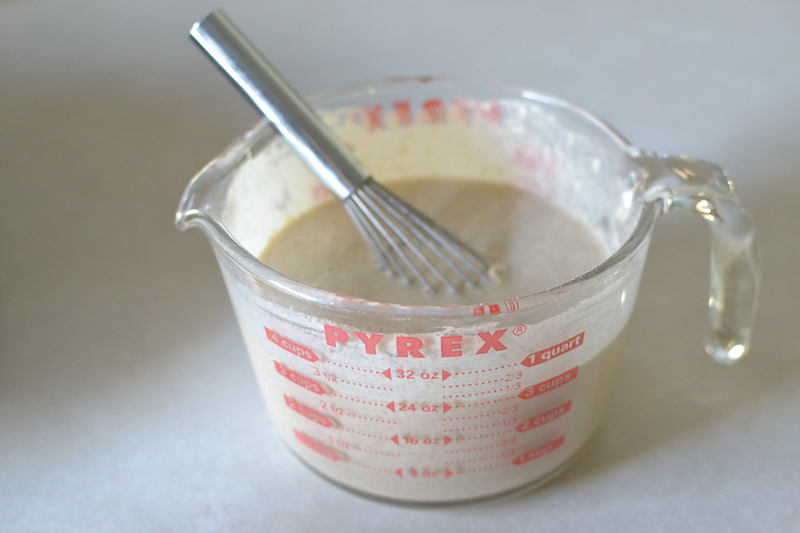 I put 1 1/2 tablespoons lemon juice (vinegar can also be used) in the bottom of a 2 cup liquid measuring cup. 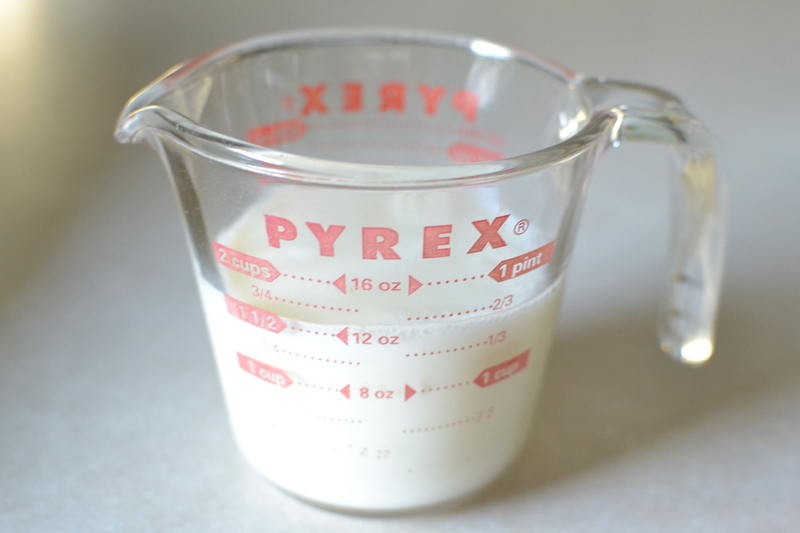 I then filled the measuring cup up to the 1 1/2 cups mark with milk. I let that sit while I put the other ingredients together. 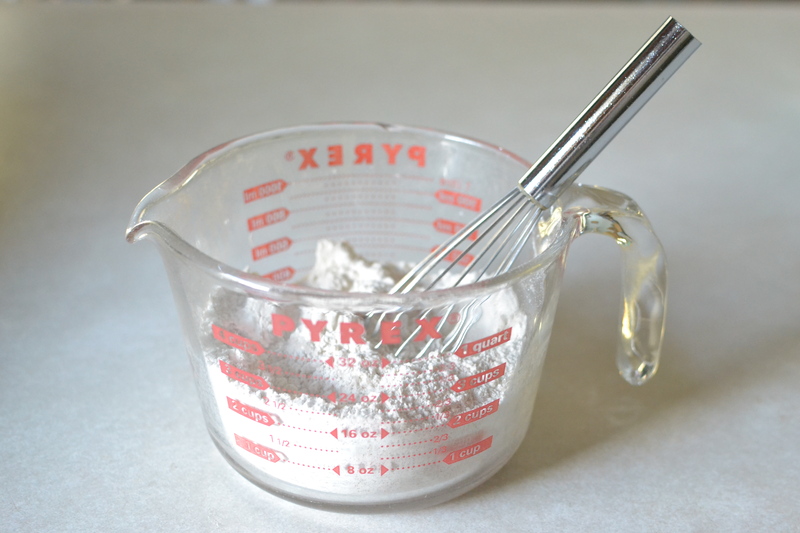 I combined all of the dry ingredients and stirred them with my whisk. In another bowl I combined the now soured milk, eggs and melted shortening (I actually just used canola oil because it was easier.). I then added the wet ingredients into the dry and stirred them all together. 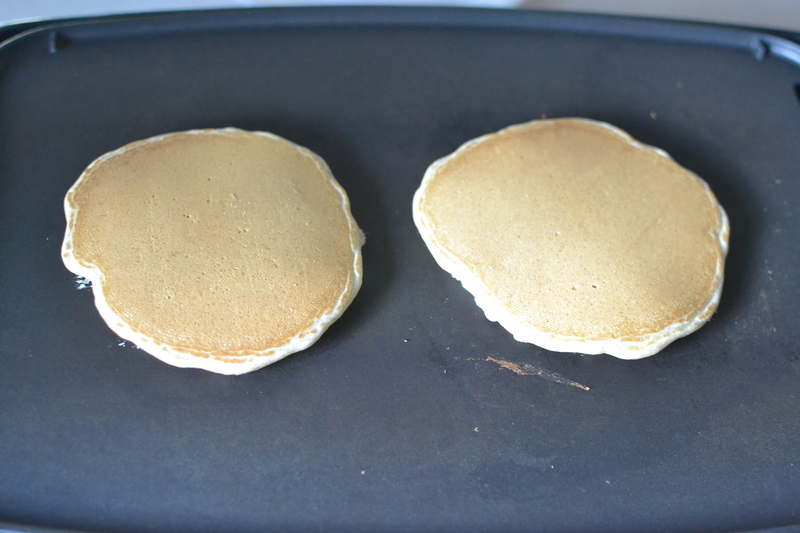 I heated up the griddle and made pancakes! These were simple to put together. 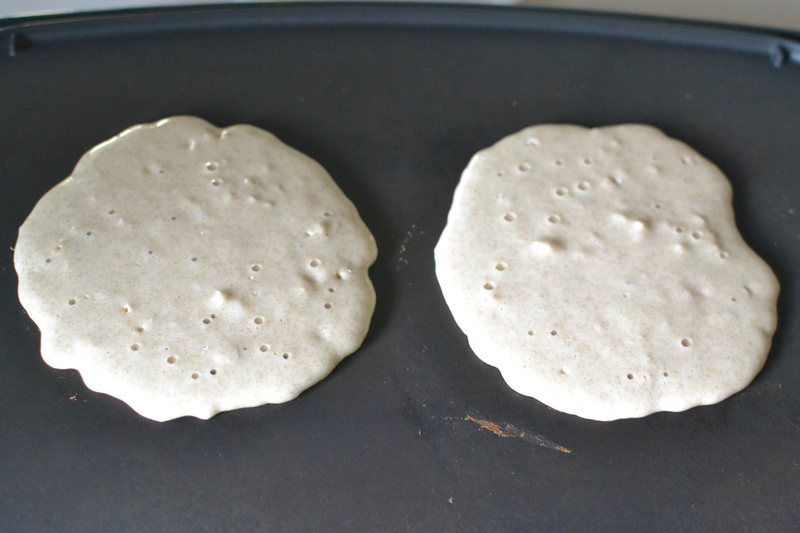 I wasn’t sure how the whole wheat flour would affect the taste, but they had a good, wholesome flavor. 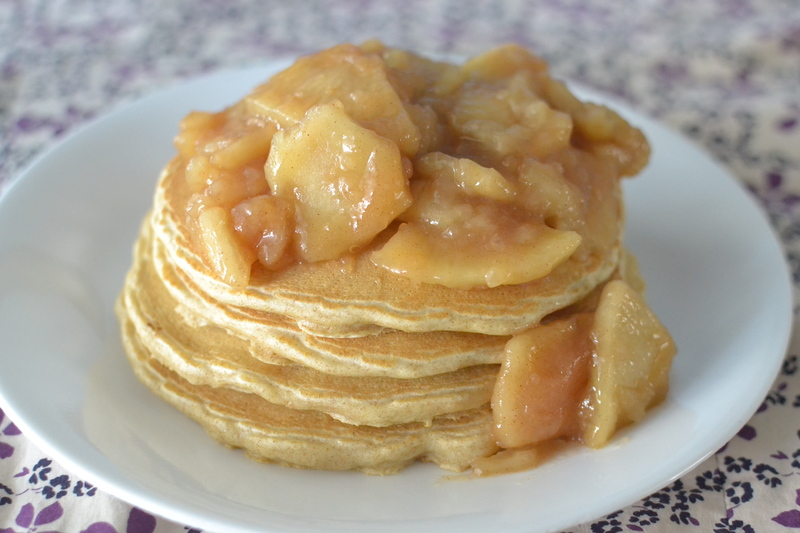 These pancakes are great for a Saturday morning family breakfast. I hope you give them a try. 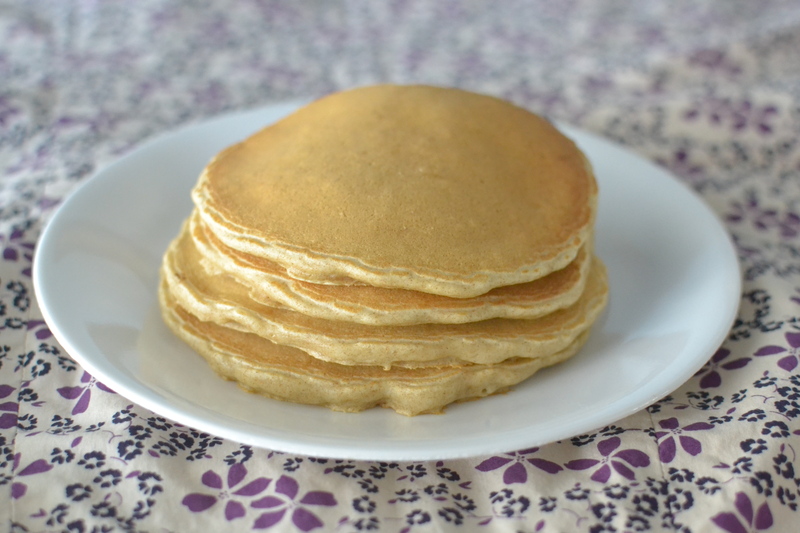 This entry was posted in Breakfast and tagged baking, Breakfast, farm cooking, grandma's cooking, homemade, pancakes, scratch cooking by GrandmothersRecipeBox. Bookmark the permalink.